At the request of our readers, we are adding this page to give more information on developments regarding the use of Bavarian Fleckvieh. Determining which type of cow is most suited for grass-only-dairying can be a daunting task. 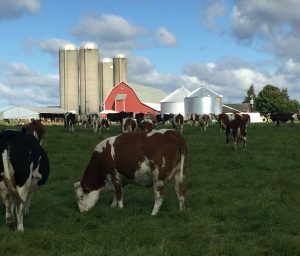 I spent several years studying the performance of cattle on pasture with high percentages of legumes at varying stocking rates and differing grazing management options. In all the of it, we found that under the right conditions cattle can consume upwards of 3.5% of their body weight in forage on pasture. There are several attributes in management to achieve this goal. Firstly, the forage or sward presented to the cattle has to be easily grazed – so a minimum of 8″ for forage height to 16″ appeared ideal. Under these conditions cattle would graze as little as 6 hours a day and spend the remaining 18 hours resting and gaining weight. We found that biting rates on pasture would be 28 to 30 per minute. 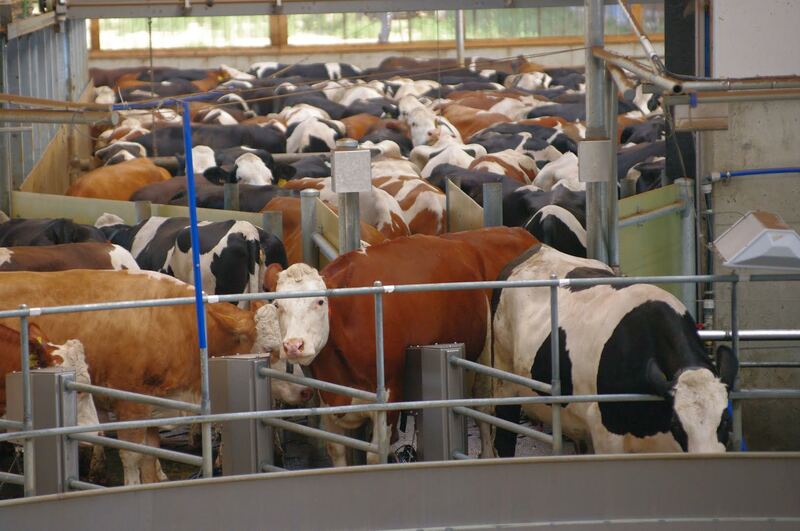 As soon as the forage availability or quality was lower, cattle would compensate by chewing faster (increased bite rate) and then increasing time spent grazing. There was certain style or type about the cattle that performed best in this environment. 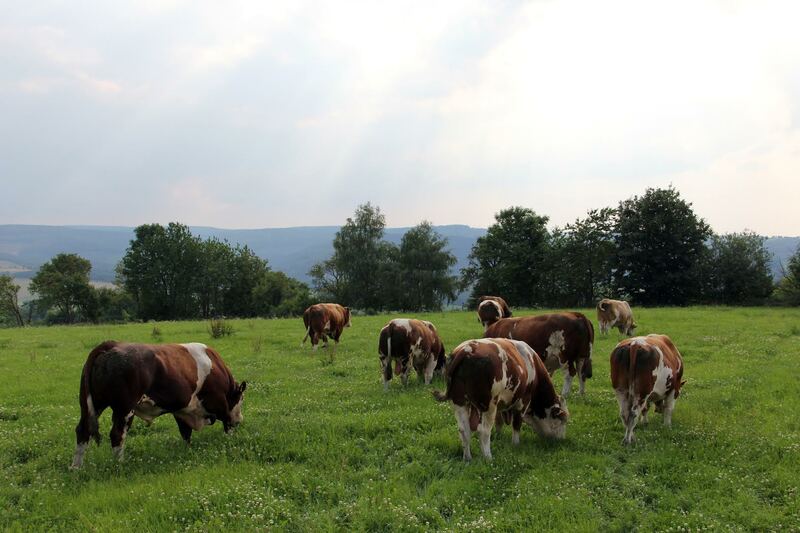 Historically when looking at the Fleckvieh breed and its origins…the original focus was on forage and conditions where animals had to be durable in a grazing/forage based environment. I believe that is some of the reason why these animals lend themselves so well to grazing. 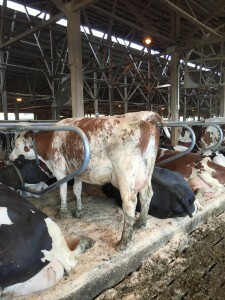 Dairy cows specifically from Upper Bavaria had to be most suited to this type of management. Concentrates were more expensive to bring into Alpine Regions and breeders of cattle relied on forages and the functionality of their cows to be able to harvest and utilize forage effectively. So when looking at selecting bulls for grazing, look for moderate frame, good feet and legs, muscularity and udder scores over 105 – and cows that will be wide, long and deep in their body type. Some pillars to this style of cow within the breed would be derived from sires like Enrico, Round Up, Rotwild, Wildbad, Passion, Passau. We have also seen good success with Zasport. 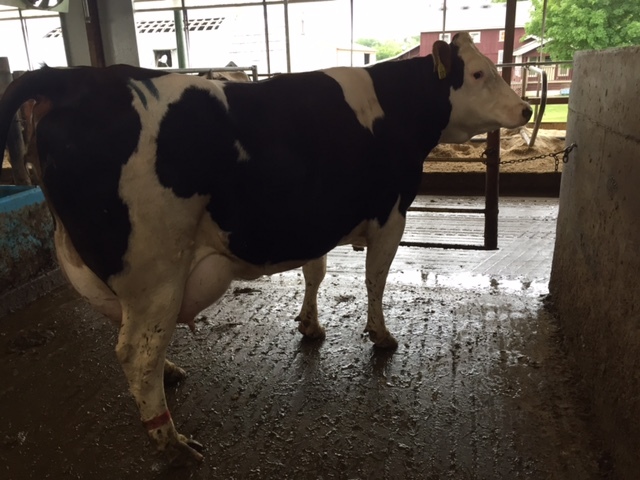 It is not often that you get a sire that has consistent ease of calving in both pure and crossbreeding in heifers. 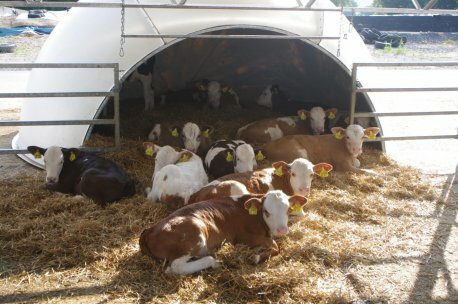 Not only that, but Waldhoer daughters are proving to be fertile animals, good feet and legs and ample milk production. Waldhoer is trait leader for fitness and productive life and it is evident with animals he is siring. Pictures here truly tell the story. This is an interesting point of discussion. 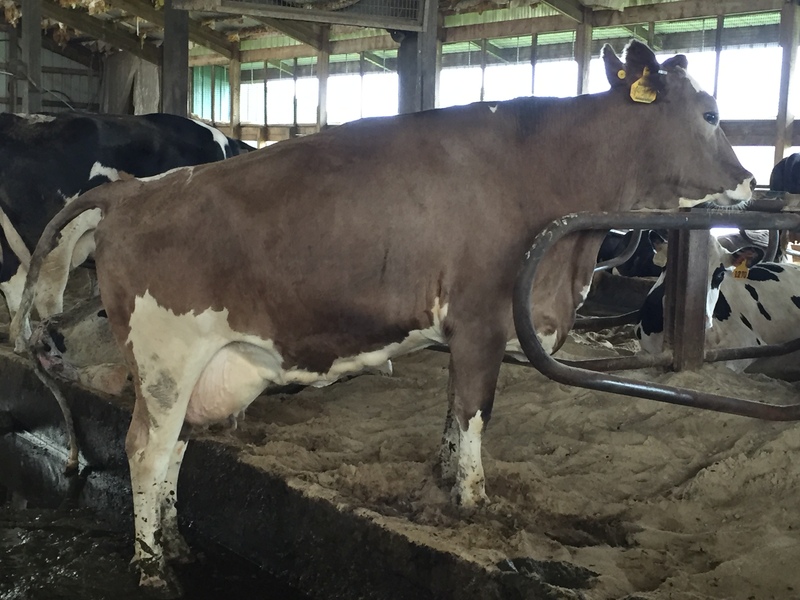 In a crossbreeding situation is it better to use a bull that was born ten years ago and has 20’000 daughters milking or one that would appear ‘new’? 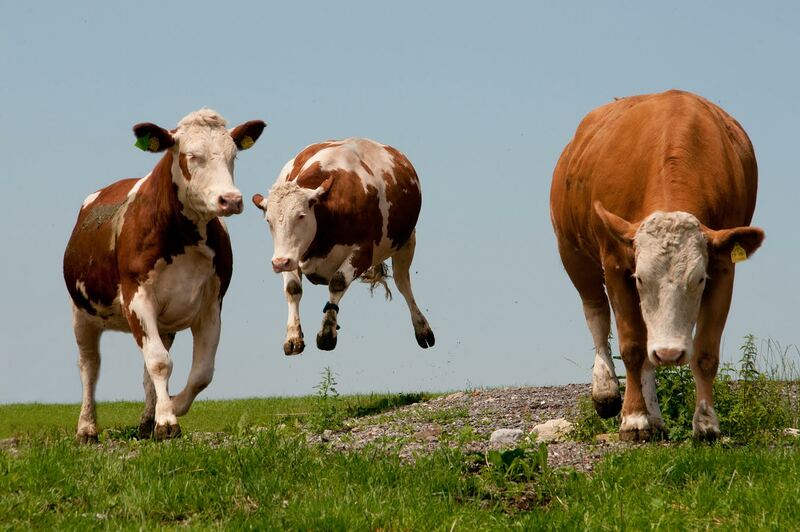 There are bulls on offer in North America that were derived from german embryos placed in North American cows. 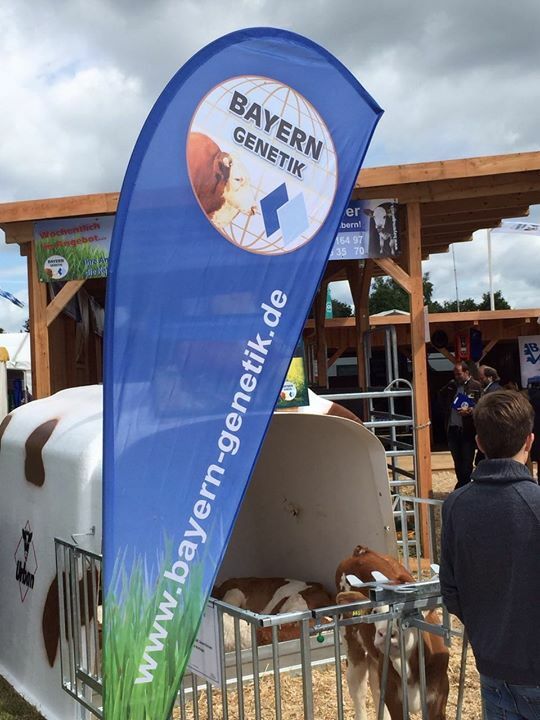 Out of proven ET dam and sire in Germany – likely ‘older’ genetics. Then mated to a higher proof bull. Raised up, collected and resold as a ‘new’ young sire. These genetics of course are much more affordably priced than the older high proof genetics that we have promoted for years….. 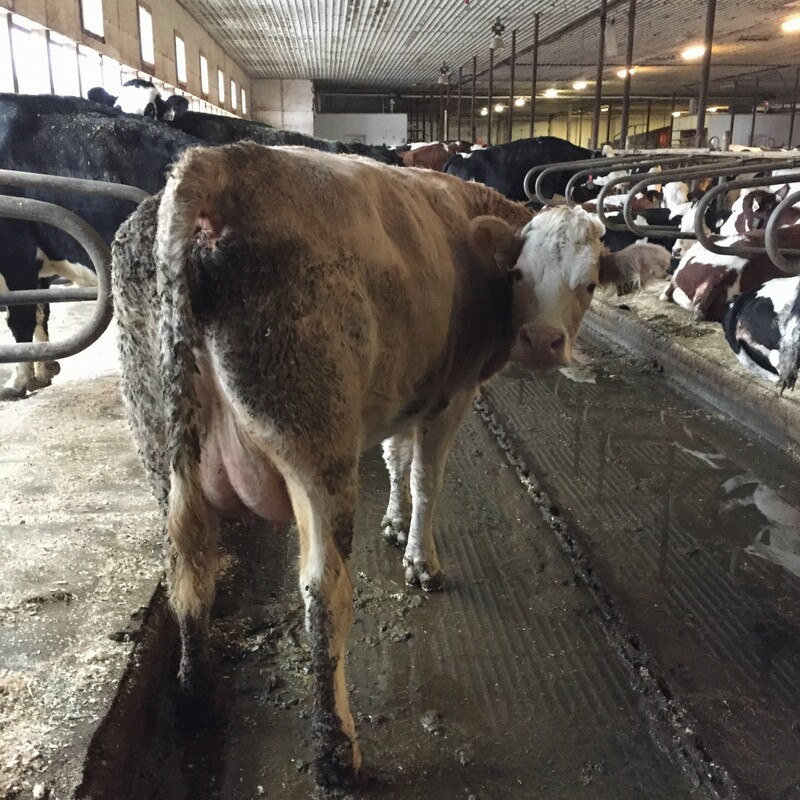 If a farm averages 2.5 inseminations for a pregnancy the increased cost of a pregnancy is $25 to $30 for each animal conceived and entering the milking string. There is no question that this cost adds up. Here is a different question: What is the saving then if the cow from the young sire lasts 0.5 lactations shorter than the one from the proven bull? Is money saved up front really money lost in the long run? 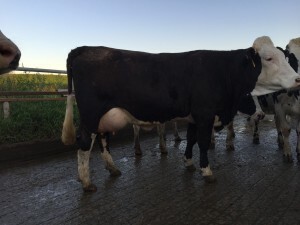 Nice thing about a young unproven sire….takes three years for the farmer to know what he will get. So by that time….the AI company is on to the ‘next’ one. The ‘next’ one that promises to be better than the ‘first’ one. The ‘other’ one that is better. We have learned over the years, that even with proven sires in crossbreeding – some will give above average results – others below average results. The complete ‘failures’ or relatively minimal though. We have produced and sold many jumper bulls from similar genetics that are available for AI by our competitors in the United States. I get nervous always when the farmer purchases only one ‘jumper’ bull. No matter how good the pedigree it can still just simply fail and the results are poor. Of course with a greater variety of bulls the risk is not as high. 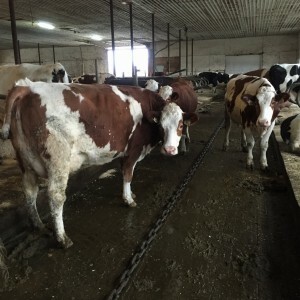 If you are using Fleckvieh for the first time and you honestly want to give the breed a chance on your farm….try a couple of proven bulls and better less of those for more money than the next ‘young’ champion. It is your livelyhood. We encourage you to check the abundance of information available about Fleckvieh for milking. 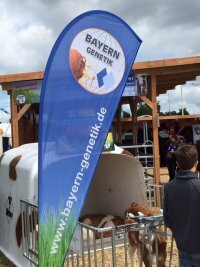 Bayern Genetik along with its global affiliates are on Facebook. Better Dairy Cow frequently lists many links and stories. Bayern Genetik publishes an english magazine each year that is distributed throughout the world. The publication started in the year 2000 – the first year of the annual exhibit at World Dairy Expo. More and more disussion specifice to this topic is occuring. Apparrently the highest incidence of A2A2 milk occurs in the Guernsey breed, followed by the Fleckvieh breed. A large number of Fleckvieh sires have the A1A2 gene. 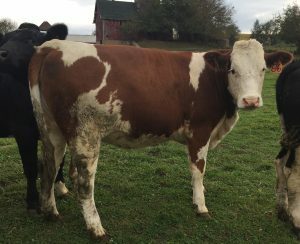 There are also a good number of bulls with the A2A2 gene. Some of these are Holzmichl, Isengard, Haertsfeld, Narr, Samuel and Zasport. Milk quality also remains high as somatic cell count is lower in Fleckvieh Crossbred Cows. 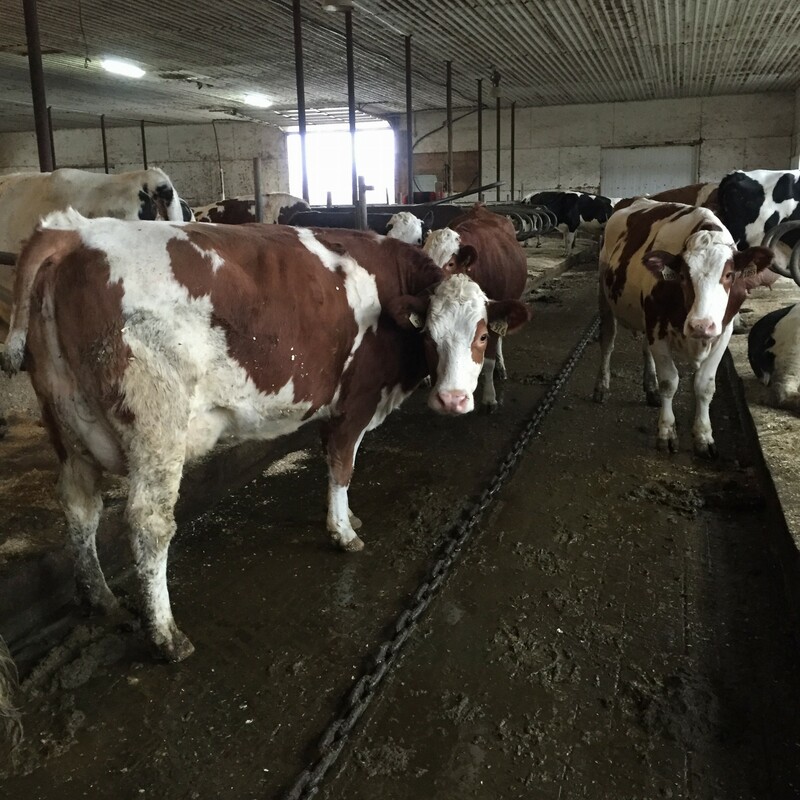 Dairy farmers milking Fleckvieh crosses consistently report a 30 to 40% reduction in cell count on crossbred cows. While there is no question that genomic testing of young sires can help in the process of identifying superior seedstock, it can be a tool to increase reliability. Genomic evaluation should not take the place of progeny evaluation as fitness traits of cattle cannot be estimated with extremely high variability. A previous merit would provide an accuracy of 40% – with genomics….that reliability can be increased to 60%. 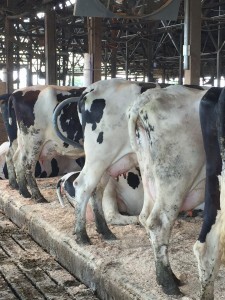 Gaining to 95% reliability still needs to be done with evaluation of progeny. There are many promising young bulls – genomics can help to sell them…..One should not loose sight of what is proven. Examples of bulls with consistent and repeatable results that are unmatched with genomics are sires like Round Up, Ettal, Rurex and Waldhoer. 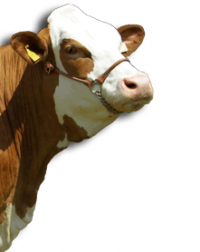 There are bulls that prove to be more or less superior when used in crossbreeding. 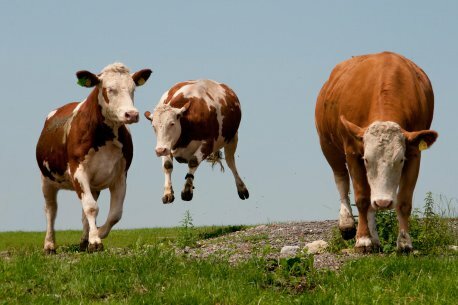 In German there is a saying – ‘Diese Kuh ist gepraegt’ – it means that cow is ‘marked’. 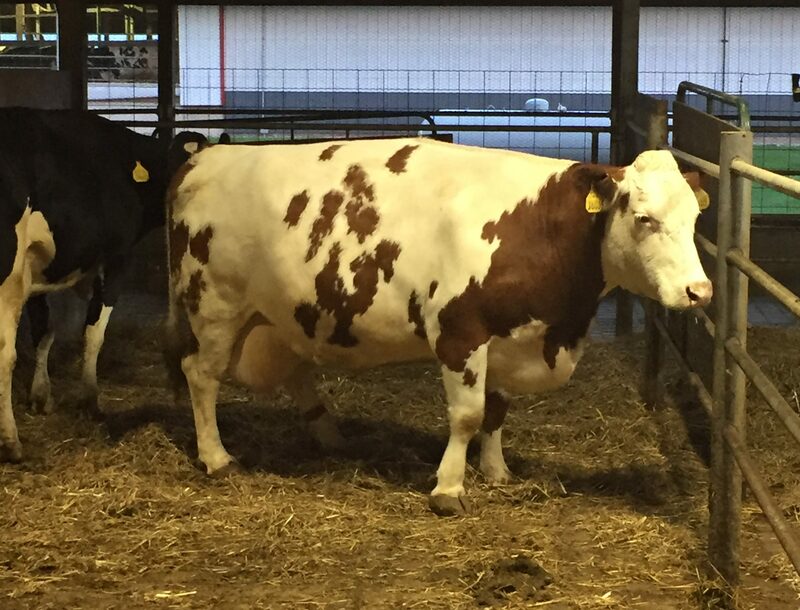 I have had the opportunity to take many people to Germany with me since we have started to work with Fleckvieh…..and every so often some bulls are just so predictable and repeatable in what they do…..they ‘mark’ their progeny. I can recommend these bulls on virtually any herd as they are just so predictable. It only comes with high proof values. We strive to produce high quality progeny for our clients…..high proof bulls allow us to do this. There is the option to choose a sire on high powered pedigrees and we have become aware that certain bloodlines and combinations of breeding work well when crossbreeding. 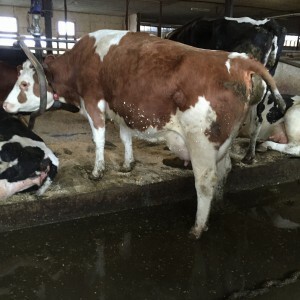 Some sires create superior heterosis results, others seem to be only average. 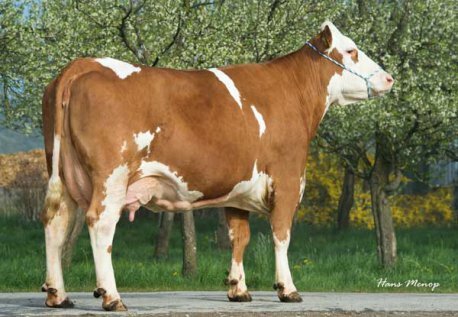 We have seen it also with bulls offered by Creative Genetics of Californian. All sires have been assigned NAAB codes and Crossbred Daughters can be registered with the COMPOSITE DAIRY CATTLE REGISTRY. Please contact us for NAAB codes if you are unable to find one.